Kitty Hawk and Southern Shores are the first towns you'll encounter after crossing the Wright Memorial Bridge. The central location of Kitty Hawk and Southern Shores makes it easy to venture to both the northern and southern Outer Banks. Take a trip north to see the Whalehead Club and Currituck Lighthouse one day then drive south to Roanoke Island or the Hatteras Lighthouse the next! 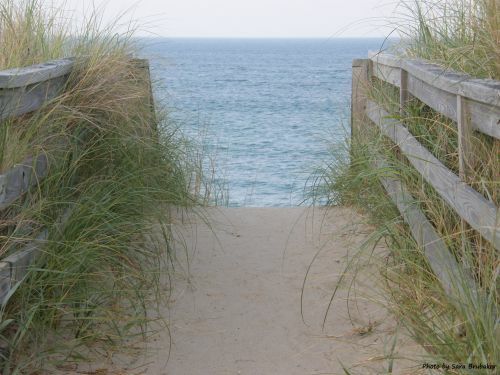 The beaches are the focal point of Kitty Hawk and Southern Shores; featuring clean, picturesque coastline. You'll see happy families playing in the waves and relaxed beachgoers lounging in the sun. Kitty Hawk also offers fantastic restaurants and nearby shopping. Relax with a cocktail on the patio of Ocean Boulevard or enjoy panoramic views from the Black Pelican. For a classic burger and milkshake, you just can't beat John's Drive In on the Beach Road. While on your Kitty Hawk or Southern Shores vacation, be sure to check out these activities and attractions! Outer Banks Music Showcase . Home to the area's only live family variety show. Enjoy Branson-style entertainment at the beach! Fun and affordable - bring the entire family! Seascape Golf Links . Located just one block from the ocean, featuring maritime landscape and dramatic elevation changes. Daily rates, twilight rates and 2-day passes are available. Kitty Hawk Woods Nature Reserve . Unknown to most tourists, this coastal reserve is a haven for deer, rare birds, and a variety of other wildlife. Over 1,800 acres of forest and wetlands comprise Kitty Hawk Woods. It includes a lovely multi-use path that parallels Woods Road. The Promenade. Fun for the entire family! Featuring a waterfall theme mini golf course, driving range, video arcade and more. Located soundfront at the foot of the Wright Memorial Bridge in Kitty Hawk. Call (252) 261-4900 or (252) 261-3844 for more information.